Atlantic City, NJ - New Way® was represented by its two New Jersey distributors at this year's New Jersey League of Municipalities convention. H.A. 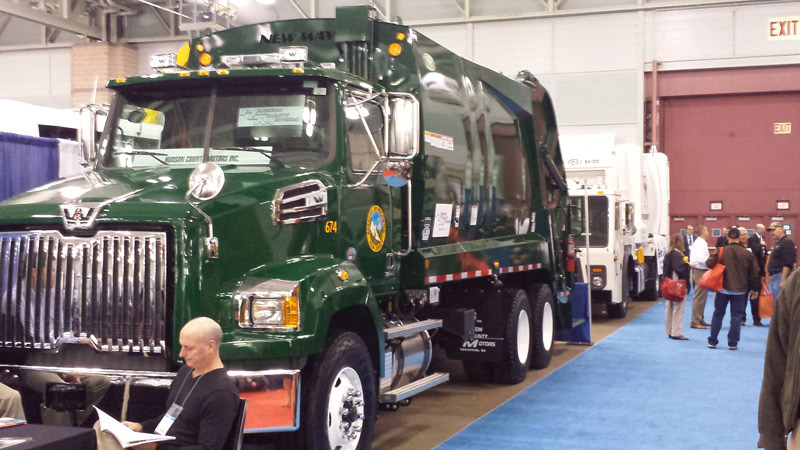 DeHart and Solid Waste Equipment, the two distributors present at the event, exhibited a King Cobra rear loader owned by the Borough of Waldwick, a Sidewinder automated side loader and a Diamondback rear loader. The event, which ran November 19th through the 21st in Atlantic City, draws thousands of municipal and public works employees and public officials annually, and this year was no exception. Tim Burns, New Way®'s East Coast RSM, attended the convention, stating "The show was great and there was a lot of interest in New Way®'s high-quality and innovative products."